우리 학과의 강점은 디자인 연구에 대한 다학제적 접근에 있으며, 주요 학술 저널 및 학회에서 권위있는 디자인 상을 수상함으로써 이를 증명하고 국제적인 인지도를 얻고 있습니다. 학과 교수진은 연구 및 산학 프로젝트를 위해 연구실을 운영하고 있습니다. 각 연구실의 홈페이지에서 과거 및 현재 진행중인 연구와 프로젝트를 확인할 수 있습니다. Prof. Nam conducts design research and practice in the area of co-design and Interaction, hoping to be a knowledge base for the future of design and design of the future. Prof. Andrea Bianchi's research focuses on Human-Computer Interaction, specifically related with tangible and wearable interfaces and novel input systems. 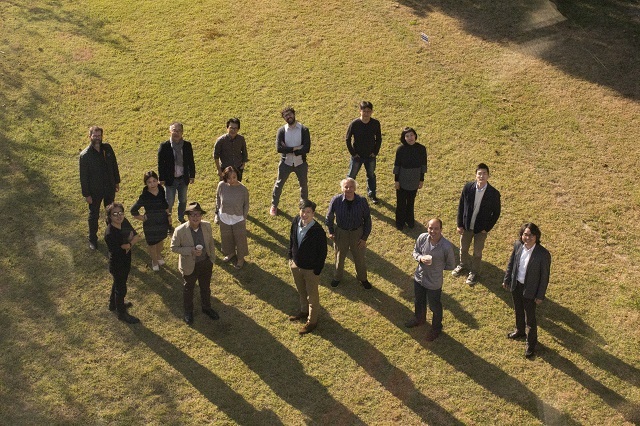 Prof. Bae is running ID+IM design laboratory in KAIST. 'ID+IM' is an abbreviation for 'Design therefore I am', 'ID' stands for 'Industrial Design', 'Intuitive Design', 'Interactive Design' and 'Innovative Design', and 'IM' implies each single designer's design philosophy and value. Prof. Bae designs and develops new interaction techniques and interactive systems for professional designers and design students. His work lies in the intersection of traditional design practices and the state-of-the art technologies. Prof. Choi’s research interests are in design solutions that are based on the scientific study of the relationship between the physical parameters of design and the human reactions they produce. Prof. Chung focuses on maximizing the quality of design service and productivity by optimizing the role of design within business system. Moreover, understanding design as the strategic method of corporate competitiveness enhancement and studies the necessary knowledge and diverse methodologies for effective management of design organization and design process. Prof. Daniel Saakes likes making things and is interested in ‘Open Design’ and “Digital Fabrication’. Born in Netherlands, educated in industrial design at Delft University of Technology, he has been at several places including MIT Medialab, Tokyo University and Umea Institute of Design. In fall 2013 he moved to Korea and joined ID KAIST. Prof. Kim focuses on design research on environmental system that comprises pleasant human life, which surpasses single unit product design concept. The major research interests include environment system design, emotional design and robot design. Prof. Lee focuses on planning and developing human-centered interaction through in-depth research for physical, cognitive, emotional, and socio-cultural aspects of human being. Prof. Kim's research interest is designing and developing new design-prototyping systems for the early conceptual design phases. He focuses on deploying the developed systems into the actual design practice and education. Prof. Kim's research interests reside at the intersection of design, science, and technology, with a focus on the materiality of interaction. She joined ID KAIST as a research professor in fall 2018. Previousely, she worked at Sony Computer Science Laboratories, NASA Ames Research Center, and ETRI. Prof. Lee likes to look for the next generation of user interface designs that provide a better user experience. He is interested in conducting industry-related UX projects based on his experience in designing the Galaxy lines at Samsung. He is currently interested in natural user interfaces, including the AI assistant. Prof. Lee designs new smart media facilitating the human to fully enjoy digital technology. The Lab develops new design media, interaction media, and entertainment media. Prof. Lim focuses on enhancing creative and quality-centered design thinking especially in the domain of human-computer interaction by exploring and developing new theories, methods, and frameworks, as well as tools to be used in actual design practice. Prof. Nam focuses on exploring the possibilities arising from strategically integrating diverse design issues within and beyond the design process in corporate, social and political contexts. Prof. Suk explores the value of light and color human experiences. Color psychology and keen sense about emotional design are the fundamental roots of its study, and further aim to form a greater convergence with diverse fields.